The Toyota Corona (Japanese: トヨタ・コロナ) is an automobile manufactured by the Japanese automaker Toyota between 1957 and 2002. The word Corona is Latin for "crown", a reference to an earlier vehicle Toyota offered called the Toyota Crown. It was exclusive to Toyopet Store dealership channels in Japan, while the larger Crown was available only at Toyota Store locations. 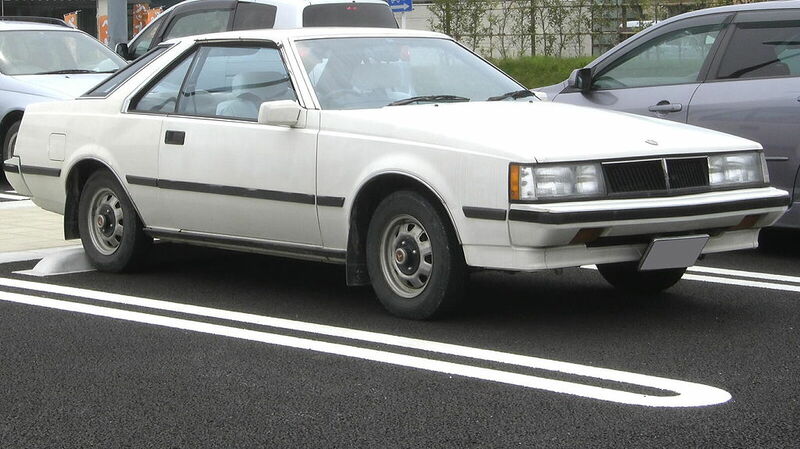 In many countries, the Corona was one of Toyota's first international exports, and was shortly joined by the smaller Toyota Corolla, providing buyers with a choice of a larger car, with similar operating expenses to the smaller Corolla. The Corona was Toyota's second sedan in their hierarchy of products, just below the Crown, until 1968 when the Corona name was used on a larger, all new platform called the Toyota Corona Mark II, which gave buyers more interior space while still offering dependable, affordable performance. The Corona became successful in export markets and was marketed under a number of different nameplates worldwide - including those branded in much of Asia as Coronas marketed in European markets as Carinas. While the Corona is no longer in production, the Toyota "T" platform used to build it is still being used. This particular die-cast 1/64 scale model that we have here is from the 1983 (and onwards) era is a 2 door hardtop with 1.8L turbo powered engine. This car is slightly bigger than the Celica and thus you can assume that this Corona 1800-GT-TR is the "Grand Tourer" sports model for Toyota at that time. The casting and painting finishing is very good, exactly we could expect from Tomytec. The exterior detailing and marking is equally good and I have no complain what so ever. Overall, I think this is a very good representation of Toyota Corona 1800-GT-TR from Tomytec. During it's prime era, I'm sure many mid 30's to early 40's men who love speed with big interior space combination and the reliable engine would love this car and later on in the 90's their son's or daughters might love to try a little fun joy ride on this car. The quality finishing on this scale model is remarkable and I have nothing to complain on it but as a wishful thinking, I guess it would be great if we can also open the doors and see the interior - but there is no such features and the only thing you can get is the standard "suspension" gimmick. the Corona was not available in my country, but i have seen a few old Crowns and the old Celicas were more popular here... indeed this Corona looks like a Celica with an added trunk and a front changed... the design is not stunning but as a reliable Toyota, i think it should be a great option for the average customers... however the Tomytec mini replica looks incredibly good !!! (some cars look better in scale than in the real life LOL)... by the way, the chassis is plastic or diecast, pal ?? ?